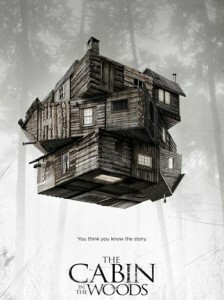 Joss Whedon talks to Total Film about Cabin in the Woods, his very loving hate letter to the horror genre. Speaking of Joss Whedon, Digital Spy has some casting news about his next Supernatural thriller, In Your Eyes. Empire have a new look at John Carter. And Digital Spy have word that the sequel is already being written. SFX have an interview with the SFX Supervisor on The Avengers. Looks like we’ll be getting some more character for Magneto in the X-Men: First Class sequel. From Blastr. SFX have a look at the new trailer for Lockout, a science fiction film from Luc Besson (The Fifth Element).